MT. GILEAD, N.C. – Heavy rain in the Yadkin River Basin has prompted Duke Energy to cancel the scheduled May 27 recreation flow release into the Pee Dee River below the Tillery Hydroelectric Plant. The new release date is Saturday, June 3, 2017. Eleven recreation flow release dates have been scheduled on Saturdays through Sept. 9, 2017. After the June 3 release, the remaining dates are June 10 and 24; July 1, 15 and 29; Aug. 12 and 26; and Sept. 2 and 9. The releases will begin at 6:30 a.m. and end at 10:30 a.m. The target rate for all flow releases will range from 800 to 1,000 cubic feet per second, which is suitable for beginner and intermediate paddlers. “These scheduled recreation flow releases are intended to provide reliable flows for outdoor enthusiasts to plan their trips,” said Crutchfield. 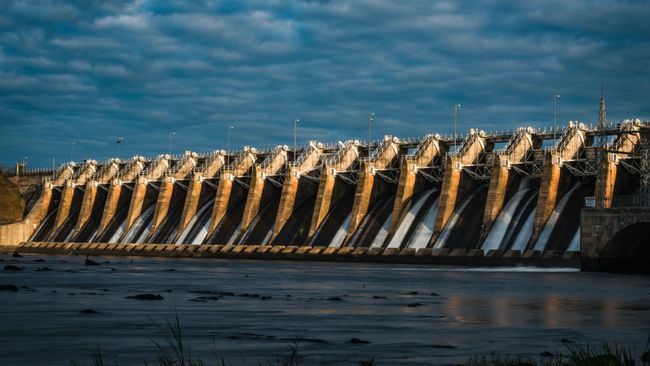 The releases are part of the new operating license for the Tillery Hydro Plant issued in 2015 by the Federal Energy Regulatory Commission. Under the license, Duke Energy formed a collaborative stakeholder team to develop a recreation release plan to guide scheduled flows in the new license term. Duke Energy will monitor key access areas on each scheduled flow release date along a 12-mile reach of the Pee Dee River below Tillery Dam. Information will be collected to gauge user activity and gather feedback from users on their trip experiences with the releases. Coupled with the scheduled flow releases, Duke Energy has constructed a new access area, Clarks Creek Access Area, just below Tillery Dam to provide an entry point for boaters using the river. Additional access areas for either put-in or take-out are the Griffin Road Access Area located on the Pee Dee National Wildlife Refuge about eight miles downstream, and the N.C. Wildlife Resources Highway 109 Access Area about 12 miles downstream. These two access areas are on the Anson County side of the river. To plan recreation trips, boaters can expect the travel time of water released downstream to the Rocky River confluence to be about four hours, downstream to Griffin Road Access to be about six hours, and downstream to the Highway 109 (Red Hill) Access Area to be about eight hours. Under a four-hour release, the water will return to normal minimum flows at the Tillery Dam around 2:30 p.m. Interested public and recreation users can obtain more information about the scheduled recreation flow releases at duke-energy.com/lakes.